Denimsandjeans India is all set to launch their 1st International Denim Carnival on September 25th at Hotel Lalit Ashok , Bengaluru . This B2B Denim Trade show has already created super buzz around the corners of Denim Industry and all the major retailers and brands are expected to visit this show on September 25-26 . The show starts from 10.00 AM and close by 6.30 PM on both days. Apart from Trade show , the show will have really important denim talks on the latest trends , innovations and washing technology for the AW 18/19 . The show has an objective to create a platform where the large Indian denim industry can come together and attract attention of global denim community . Various stakeholders of this huge denim community in India will be striving to add further value to the booming sector. The companies which are expected to visit include H&M, Marks &Spencer, VF Corporation , Landmark Group , LiFung , GAP Inc , Zara , Tesco , Pepe Jeans , Killer Jeans , Spykar , JC Penny , Target , Benetton , V-Mart , Shopper Stop , Reliance Trends , Myntra , Hypercity Retail, ITC Limited , Carrefour, Levis, Aditya Birla Fashion , C&A , Pantaloons , Tata CLiQ,Westside , Madura Garments , Shahi Exports , Gokaldas Images, Newtimes , Pearl Global , Scott Garments , Indus Clothing , Walmart India , Blackberry , Future Group , Vishal Mega Mart , PDS , Asmara , Triburg ,Gokaldas Exports , Killer, Classic Polo and a large number of other buying houses , Garment Factories , Tier 2 brands ,fabric traders , importers etc are expected to visit the show. We develop, manufacture and supply high-en denim fabrics in greenfield plants for use in various segments like fashion apparel, Work Wear and Sports Wear. Anubha Industries’ agile R & D team has developed efficient manufacturing processes to produce topnotch denim in various constructions and textures and in weights ranging from Ultra-Light-Weight to Heavy Weight. Part of the media conglomerate Dainik Bhaskar Group, Bhaskar Industries is a Vertically Integrated Denim Mill under one roof, with an annual capacity of 44 million meters. Ever since our first loom kicked, into action in the year 1998 they have remained focused and responsive to the demands of the Jeans-Scape. Consistency in quality, timely delivery and keeping pace with the changing fashion trends, has given us a desired position in the denim industry. BluConnection is a leading global denim solutions provider, offering denim producers across the world DenimBlu30 pre-reduced liquid Indigo (the blue of blue jeans), specialty chemicals and consultancy services. While its state of the art eco-friendly production facility is based in Singapore, BluConnection has teams, competence centres, agencies and procurement centres in various parts of the world. Constant innovation and R&D is core to the Company’s Philosophy. bluesign technologies ag was founded in 2000. Since then, the bluesign® system has been adopted by worldwide leading textile and accessory manufacturers. Various significant key players of the chemical and machine industry rely on the bluesign® system. And well-known brands of the outdoor, sportswear and fashion industry rely on the extensive knowledge of bluesign technologies. Established in 1994, growing at an average rate of 20% (year on year), we are presently a group having an export of $200 million. Spread over 6 production facilities & 3 laundries, we have an installed capacity of 3 million units a month Our product – woven bottoms with a state of the art specialization on denims (7oz-13oz) we ship to 21 countries worldwide, with USA being the major destination. ETCO Denim Pvt. Ltd., is part of ETCO Groups forward integration programme to its’ current manufacturing activity of weaving 6’s to 10’s coarse slub yarns. Vertically integrated facility of ETCO Group for manufacture of denim fabric, it has annual capacity of 50 million metres. Manufacturer and supplier of textile chemicals finishing chemicals, dyeing chemicals, printing chemicals.Garmon South Asia Chemicals Private Limited is a Private incorporated on 30 April 2013. It is classified as Non-govt company and is registered at Registrar of Companies, Mumbai. Hyosung Corporation is a South Korean industrial conglomerate, founded in 1966. It operates in various fields, including the chemical industry, industrial machinery, IT, trade, and construction.MANUFACTURER OF SPANDEX , NYLON AND POLYESTER YARN. Jeanologia, the Spanish company, is the world leader in sustainable and efficient technologies for the garment finishing industry. Providing equipment and consulting services to customers located in 60 countries on 5 continents since 1993. Our mission has been to improve the garment finishing industry through technology and know-how. Our laser, ozone and e-flow systems have revolutionized the textile industry offering endless design and finishing possibilities on garments while saving water, energy and chemicals, eliminate waste and harmful emissions. A Leading manufacturer of Denim and Cotton fabrics with innovations in yarn and finishes supplying to the leading retailers and fashion brands across the globe over the last 20 years. With rich heritage of experience in cotton ginning since 1932, KG Group diversified into Spinning, Weaving, Dyeing & Processing, Apparels and Home Textiles over the period of years. We produce complete range of denim fabrics from 3 Oz to 14 Oz in 100% cotton, cotton-poly, Stretch denims, Tencel/Lyocell, Tencel-Cotton, Cotton-Rayon etc. We serve our clients with offices in Bangladesh, Sri Lanka, Vietnam Thailand & India. Production capacity of 20 million meters per annum Advance machineries and technology ISO, 5S, Oeko-Tex & GOTS certified State-of-the-art in-house lab Available Special denims like Jaquards, Dobby, Knitlook, Reverse/Front Peached, Multicolor Printed, Coated, Overdyed, True Indigos Also, we do duck canvas fabrics from 10 Oz to 24 Oz. Kilim Denim is a premium denim mill since 1970, building denim heritage for fifty years through reliable relationships with partners and strong bounds to its roots, furthermore proud to be contributing by its genuine performances to creating an innovative and sustainable denim world for future which focuses on earth and humanity. 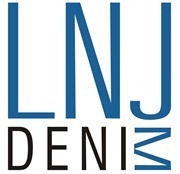 LNJ Denim is a denim manufacturing facility, with an installed manufacturing capacity of 25.0 MMA. 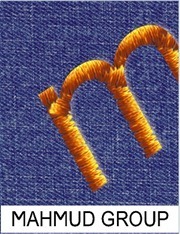 It has earned good reputation among International & Domestic Brands, as an Innovative and Quality Denim Fabric Supplier. 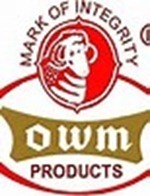 It was established in 2007 under the head of RSWM Limited, which is a flagship company of the LNJ Bhilwara Group, Founded in 1961. It is one of the largest Textile Manufacturer in the country, primarily producing the best quality of yarns like Synthetic, Blended, Melange, Cotton, Specialty Yarns & the Value Added-Suiting and Denim Fabrics. Today, M & J Group is one of the biggest and the most reliable apparel manufacturer providing high quality garments to the leading fashion brands like Replay, H & M, New Yorker, C & A, Esprit, GAP, Old Navy and Macys in the Europe, USA, Asian and Canadian markets. Coats is a global business with a rich heritage that dates back over 250 years. 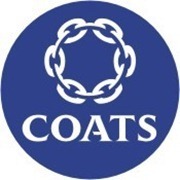 As the world’s leading textiles and crafts business, Coats has a long history of landmark innovation in threads, zips and colour technology as well as innovations in manufacturing processes have become industry standards. Mafatlal Denim Limited has been amalgamated with Mafatlal Industries Limited, the flagship company of the Arvind Mafatlal Group which has a legacy of over 100 years in the textile business..
Mahmud Group of companies came into the textile industry with the establishment of Dong bang Textile Ltd. at Chittagong in 1997. Relying on it’s strong past experience, in 2006, Mahmud Group decided to reshaping it’s business by taking significant step towards leading the denim industry and came up with composite state and vertical set up of the art denim mill. We have the facility from Yarn to Fabric to Garmenting. Nandan is one of the largest vertically integrated textile manufacturers in India with over 130 million meters capacity of denim and cotton greige fabric. The company’s advanced spinning facility is capable of producing all specialized yarns like duel core, coloured slubs, cotton stretch yarns. Nandan is one of the very few denim manufacturers capable of dyeing denim yarns with sheet dyeing and rope dyeing technologies. One of the Leaders in Cotton Textiles having approx. 8,50,000 Spindles, Large Weaving, Processing, Knitting and Garmenting capacities along with Retail Business. • US$ 1.2 Billion group with main presence in cotton & woolen textiles • 5 major group companies – • Nahar Industrial Enterprises Limited (NIEL) • Nahar Spinning Mills Limited (NSML) • Oswal woolen Mills Limited (OWM) • Oswal Denims (OWM) • Monte Carlo: Leading Brand Woolen Wear, Woven & Denim Wear. Manufacturing Denim Fabric, Raymond’s denim story began in 1996; focusing on quality, innovation and the creation of exclusive products & designs that have always caught the eye of some of the world’s leading jeanswear brands as well as making us amongst the top producers of specialty ring denim in India with a 60% market share. Reliance Industries Limited is the largest integrated producer of polyester fibre and yarn in the world. Reliance offers unmatched competence and a wide range of Polyesters that find value-adding application in Apparel, Home and Technical textiles. Sold under the Recron® brand name they have been finding acceptance with some of the most discerning customers worldwide. No wonder therefore that Reliance has won the top 4 SRTEPC export Gold awards consecutively for the last 17 years. Ribbontex is an Italian company which combines with skill and wisdom the ten-year experience in the field of ribbons and labels with the constant desire to always offer cutting-edge solutions. The range of products is very extensive and truly packed with alternative solutions, suitable for any type of pocket. Manufacturers of Sulphur dyes and related auxiliaries, especially suited for the denim industry.SF, the abbreviated avatar of Shorimal Fakirchand, traces its lineage to its forebears of 4 generations, of the 1930s, when the dyes trade in India depended largely on imports of Swiss, German and English origin. From the need to effectively communicate with the small dye-house customer, who was beyond the understanding of the European chemical-product designations, and buying only in small tins, evolved SF Group; transcending linguistic and cultural barriers. Suryalakshmi Cotton is one of India’s leading integrated premium yarns to denim to garment manufacturing company with over five decades of market leadership. Since the past two decades, it has become the Original Denim Manufacturers (ODM) to leading global and domestic brands with a dominant market share in the premium denim sector. The presence across the entire spectrum of the value chain, right from manufacturing of yarn to denim cloth to garmenting has provided the company with a crucial competitive advantage. THe Delta is a composite unit, having knitting, dyeing, finishing and sewing units under a single roof. Beside, We have our own printing, embroidery and washing units on the same premises. All these unit work as an integrated whole to meet the buyer’s stipulated time and need based demands.Spinning, Knitting, Dyeing , cut & Sewn apparel manufacturer and exporter. Denim project will be operational by January 2018. We are manufacturing denim fabrics for Men, Women and Children and have a capacity of about 2.1 million mtrs per month. We have strength in stretch denims. .Ultra Denim Pvt. Ltd., is located in “TEXTILE HUB OF INDIA” at Surat region in Gujarat. With more than 40 years in the market, Vicunha is one of the largest textile manufacturers in the world and a leader in various segments. With factories distributed in South America, in addition to warehouses and sales offices in Europe and Asia , Vicunha occupies a prominent position in the International markets. Highlighted amongst its main areas of operation are the production and sales of indigo denim and twill. With the purpose of continually improving and innovating in its production , Vicunha Textil has modern Industrial facilities, constantly investing in technology and training its 8,000 professionals. Known for its BCI cotton, sustainability has been at the core of the Vicunha business for many years, every aspect of production has been fine tuned to maximise energy efficiency and minimise waste, reducing, re-using and recycling energy, water and cotton in house.